Tile and grout can be stubborn and are notoriously known to be hard to clean. Voce Cleaning, LLC understands the needs of both homeowners and businesses. 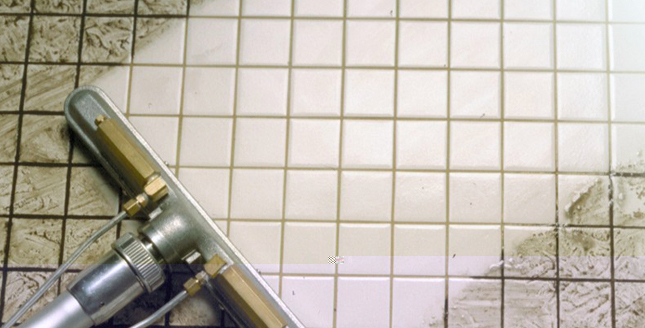 Regular mopping, home tile cleaners and home grout cleaning methods just don’t do the trick, especially if you are trying to eliminate the stubborn dirt that settles on the tile surfaces or deep into the grout lines. Voce Cleaning LLC offers a professional tile cleaning and grout cleaning process that will keep your tile surfaces, grout lines and countertops clean and fresh.